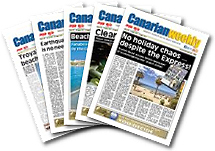 Oasis Fm's coverage is in the south of Tenerife, the area with biggest concentration of British tourists and ex-pats in the whole of the Canary Islands, although our signal does also reach the coasts of Gran Canaria and La Gomera. 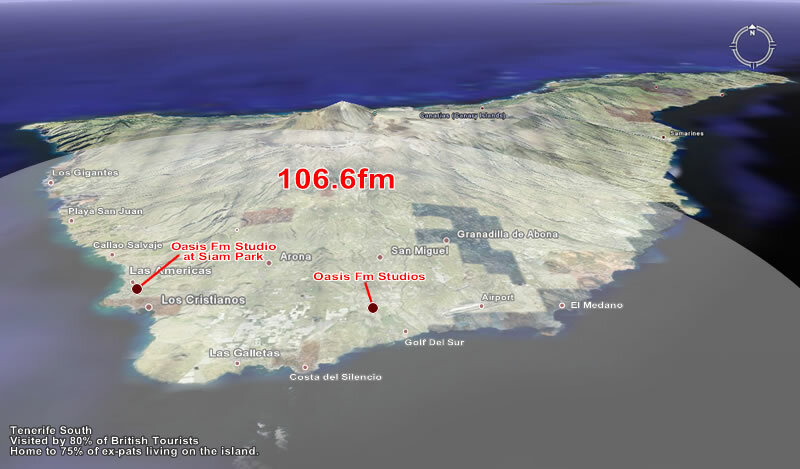 Technical reports show the extent of the 106.6fm coverage area in the south of Tenerife. 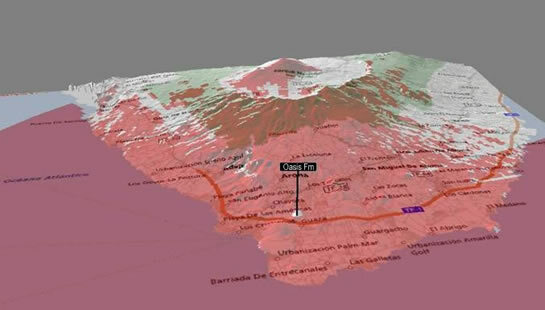 This frequency covers the main population of British ex-pat residents in Tenerife. 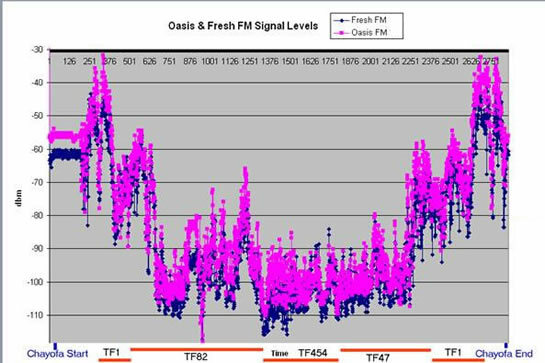 A signal comparison with one of the other stations in the TSA shows the quality and strength of the 106.6mhz signal, making Oasis Fm the most available in the area.